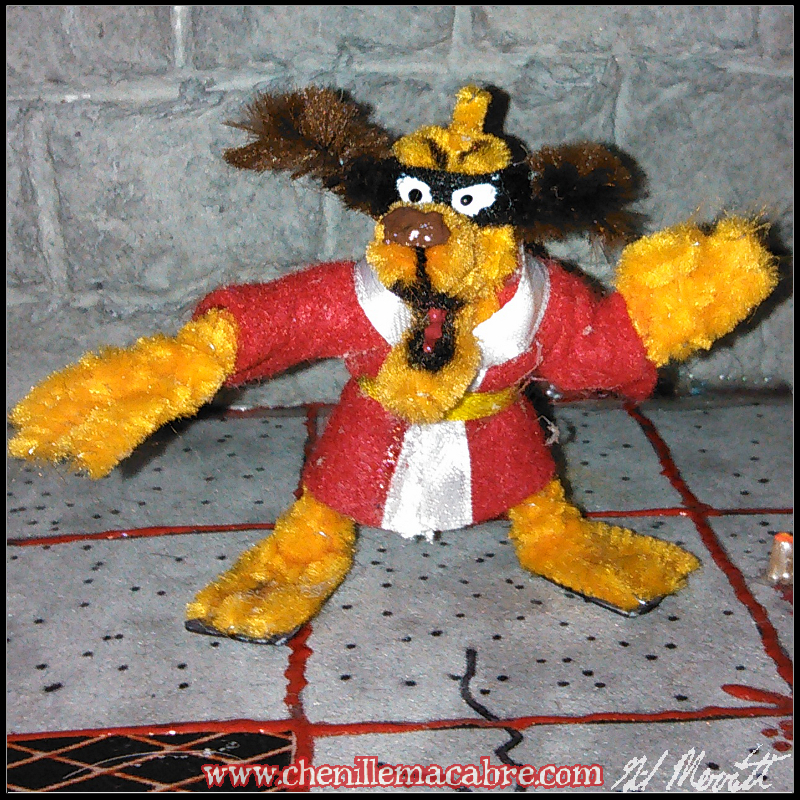 Welcome to CHENILLE MACABRE: truly twisted pipe cleaners! I'm The Gil-Monster: a sinister toymaker who twists the innocuous-looking chenille stems into dragons, zombies, Lovecraftian monsters and who knows what else! The bodies of every creature here at Chenille Macabre are built completely from chenille stems. Acrylic paint and marker embellish the beast, along with additional materials such as fabric. Additional materials include wood, plexiglass, accessories lifted from generic action figures, and more. Every monster is unique, and all are signed and dated by the artist. Almost all creatures are built to turn at the waist, shoulders, elbows and neck to allow for simple poses. (You can even pose their fingers!) Creatures stand anywhere between 2" and 7" high. are started from scratch and take anywhere from a hour to twelve to create. PLEASE NOTE: Chenille Macabre specializes in collector's dolls. These are NOT "toys". Due to the wire construction in all work, some figures and miniatures may have sharp points.